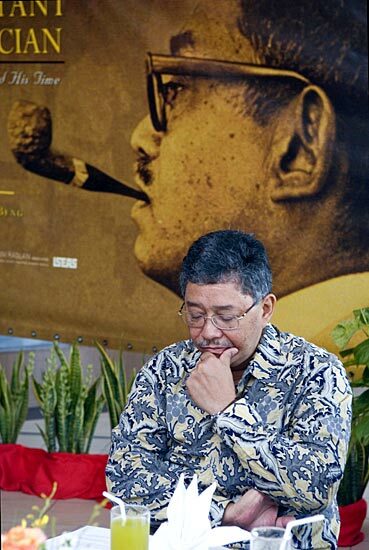 When both Dr. Ooi Kee Beng and Oxford-educated Tawfik Ismail were working on the book titled The Reluctant Politician, I asked Tawfik what was it like to be the eldest son of Tun Dr. Ismail Abdul Rahman. At that time, I was being interviewed and subsequently quoted in the book. I had been observing Tun Dr. Ismail since I was in the Foreign Service (1963-1965) when as Assistant Secretary (Political) on the South East Asia desk reporting to YM Raja Tan Sri Aznam Raja Ahmad. I used to accompany foreign leaders who paid courtesy calls on our Second Deputy Prime Minister at his Home Affairs Office in the Prime Minister’s complex in Jalan Dato Onn, Kuala Lumpur. 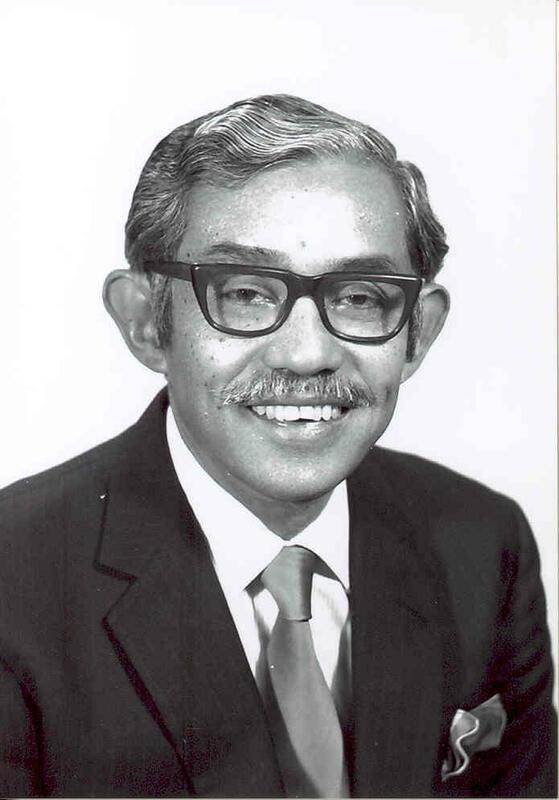 After he resigned from the Tunku’s cabinet, Tun Dr. Ismail practised medicine at Macpherson, Catterral, Khoo and Partners. He examined me and signed my medical certificate that enabled me to further my studies in the United States in 1968 as a Bank Negara scholar.I remember saying to Tawfik that I wished I had kept a copy of that medical certificate. As luck would have it, upon my return from Washington DC with a postgraduate degree in mid-1970, I became a frequent golfing companion of the Tun who was then President, Kelab Golf Negara Subang by virtue of my being Chairman of the Club’s caddy committee in 1971. What Tawfik told me confirmed my view of Tun Dr. Ismail. The Tun was punctual, meticulous, competitive and strict. He was a man of few words yet friendly, kind and considerate. Tawfik added that Tun Dr., Ismail was a model family man who found time for his wife, Toh Puan Norashikin and his children. He was particularly interested in their education and upbringing, despite his busy schedule. It was obvious to me that Tawfik admired and loved his much respected father. A hundred years ago on November 4, Tun Dr Ismail Abdul Rahman, the much respected second Deputy Prime Minister of Malaysia, was born. The public’s liking for him, according to numerous accounts of his life and times, was based on certain traits in his character that made him stand out as a public figure. These qualities included a non-racial outlook, a tough but fair approach towards the rules, and a principled stand on issues affecting the nation’s future. Indeed, Dr Ismail’s steadfast character and penchant for correctness was such that Razak seldom disagreed with him, including when the country was run by the National Operations Council during the Emergency rule following the 1969 riots. Former Prime Minister Tun Abdullah Ahmad Badawi was quoted in the New Straits Times article as recalling that Razak often took pains to accommodate Dr Ismail’s views, extending meetings whenever there was a clash of opinions so as to satisfy Dr Ismail. The independence of mind that Dr Ismail displayed allowed him to articulate a moderate vision of nationhood that was reassuring to the different races in the country, while retaining the special position of the Malays as a central pillar. That vision was evident, for instance, in a statement that Dr Ismail issued as the Home Minister in the heated period before the riots broke out. Ultra Malay leaders including Tun Dr Mahathir Mohamad and Tun Musa Hitam had called for Prime Minister Tunku Abdul Rahman’s resignation in favour of a leader who would restore “Malay sovereignty”. The moderation that Dr Ismail espoused strikes an especially meaningful chord in the current times, when inter-racial harmony is repeatedly being tested by inflammatory statements from right wing groups. Dr Ismail’s views on the multi-racial nature of Malaysia’s politics are a far cry from the intolerant and extremist opinions being aired today. They tell us that the inclusive vision of our founding fathers has been supplanted by a narrow, regressive version of what Malaysian stands for. Contrast Dr Ismail’s views with the oft-repeated call to extend the New Economic Policy (NEP) on the grounds that the Bumiputeras are still unable to compete on a level playing field. An avid golfer, Dr Ismail likened the NEP to a handicap for the Malays which “will enable them to be good players, as in golf, and in time the handicap will be removed,” he was quoted as saying, in a retrospective article on his contributions to the nation, carried in the Sun daily. “The Malays must not think of these privileges as permanent: for then, they will not put effort into their tasks. In fact, it is an insult for the Malays to be getting these privileges,” he said. Dr Ismail’s courage in laying bare the reality behind affirmative action makes him a rare commodity in a field where development policy has been misdirected for political advantage. It is time that we draw strength from Dr Ismail’s honesty to realign our efforts towards the original goals of the NEP, namely the eradication of poverty and restructuring of society, weaning the able off its life support system. Even concerning the question of the special position of the Malays, which was a core issue in the Independence negotiations, Dr Ismail is quoted in his biography ‘The Reluctant Politician’ (2007) as having written that “the leaders of the Alliance realised the practical necessity of giving the Malays a handicap if they were to compete on equal terms with the other races. The only point of controversy was the duration of the ‘special position’ – should there be a time limit or should it be permanent? It is telling that over 40 years after Dr Ismail’s passing, the questions that he had posed then continue to trouble us. It is left for the people today to draw inspiration from Dr Ismail’s clarity of vision about the relations among Malaysia’s diverse communities in order to forge a common future. His untimely death at 58 has truly made him “the best Prime Minister Malaysia never had”. This entry was posted in Biography, Demoracy, Development Planning, Economic and Public Policy, Governance, History, Leadership, Malaysia, National Unity, Politics, Race Relations, Rule of Law, The Malays, UMNO. Bookmark the permalink. A good article on the late Tun Dr. Ismail Abdul Rahman, Din. Unlike you, as Registrar of UM in the 1960s, I only had one opportunity to meet the late Tun Dr. Ismail, for whom I had the highest regard and respect. I did not know that you worked under YM Tan Sri Raja Azam bin Raja Hj. Ahmad at the Ministry of Foreign Affairs. A good man then from Taiping, my hometown, same school (King Edward VII School) and the same University of Malaya in Singapore (now NUS) at about the same time in the early 1950s. Those were the years when many good and illustrious high Malay government officials came from Taiping and the said school and university, with personalities like Tun Abdullah Ayub (Che Lah) and Tan Sri Jamil Jan (JJ) [later 1950s]. It is nice to read about the good old days. It is unfortunate to have lost such an illustrious personality at 58. Had he been PM, after Tunku, the nation would have taken different dimensional wave length. The thought of multi-racialism in Tun at that time when our nation was newly declared independence in itself praise worthy of his intellectuals as was the right person to lead this nation but God disposed when man proposed at an early age. Today mad people are governing the country where money is about everything at any cost for power. Agreed, a true politician beyond comparison and during one of my brief encounters with Badariah n Toh Puan, I mentioned that Malaysia would certainly have been different if Tun was still around. A very good article Dato. November 4 , 2015 , is the 100 th anniversary of the birth of Tun Dr. Ismail A Rahman. Let us all Malaysians, particularly Umno leaders, be reminded and celebrate, that there are still great old values to be drawn from the impeccable character and integrity from this great man, besides being intelligent and foresightedly for a multi-racial Malaysia and the respective role of the Umno leaders should be engaging and building, truly, a Malaysia for the benefits of all Malaysians, regardless. ‘’Something’’ was ‘’wrong’’ THEN, as Ismail lamented. Something is very wrong NOW, as his Great Values are not being upheld and revisited, but instead, disgracefully degraded and insulted by, largely, the leaders of Umno Baru and their rogue culture of MACCP, now deeply embedded. Here on , ‘’I hope’’ the Malays and all the people and Media of Malaysia will and should start ‘’the new discussions’’ on why this country had been brought to the present dire state of affairs in order to take swift and decisive steps for remedial actions, before being dragged into a failed state. Tun Abdul Razak, Tun Dr Ismail, Tun Ismail Mohammad Ali and many of their contemporaries all had that powerful, basic quality — gravitas — so vital to nation building, and now so clearly absent from the crowd inhabiting Putrajaya and the various state assemblies. Tawfik Ismail, you had a great father, and I must add a great mother too, and we, a great Deputy Prime Minister. True, the late Tun Ismail Mohd. Ali, the first Governor of Bank Negara and Tun Mahathir’s brother-in-law and close friend of YTM Tunku Abdul Rahman Putra Al-Haj, our First PM, was a fine gentkeman who contributed so much to nation building. I worked closely with him for many years in the 1960s as he was a member of the University of Malaya (UM) Court and Council. We must also not forget others, including the following who also oontrbuted to nation building and with whom I had the honour to work with in UM (and as friends) : YTM Tunku Abdul Rahman, Tun Mohd Suffian bin Hashim, Tuan Hj. Mustapha Albakri, Tuan Haji Dr. Megat Khas bin Omar, Tan Sri Dr. Mohd. 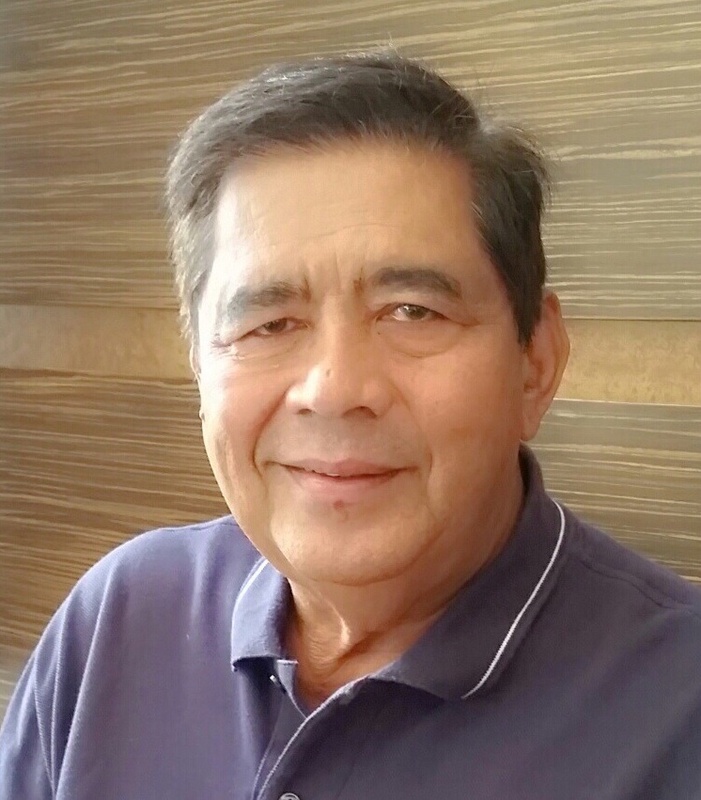 Din bin Ahmad, Dr.Mohd. Said bin Mohd, Datuk Dr. SMA Alhady, Tan Sri Dr. Abdu Majid bin Ismail (Coco Majid), Tan Sri Jamil Rais, Dato’ Dr. Syed Mahmood bin Syed Hussain, Tan Sri Abdul Kadir Shamsudin, Tan sri Arshad Ayub, Tun Sheikh Hamdan bin Sheikh Tahir, and many more. I knowthat these Malay gentlemen contributed a lot of their time towards natoin building and where I am cincwrned, in building u and promoting higher education then. – “u” to read “up”. When Singapore was kicked out of Malaysia, the relationship between Malaysia and Singapore. No leaders paid any attention in fostering good relationship. Not even Tun Razak himself. I begin to suspect it’s Tun Razak’s intention to punish Singapore. Razak is bent in showing who boss is. Remember it was Razak who orchestrated the destruction of Tun Mustapha in Sabah just as Tunku did to Donalad Stephen and most kadazan leaders. I hold both leaders responsible for the total political mess in Sabah and dire situtation of kadazans in Sabah. The True BUMIPUTRAs in Sabah! It’s Tun Ismail who truly believes in fair play visited Singapore and cultivate good relationship with Singapore. Perhaps, if Tun Ismail were the PM, Islamisation may not even take root in Sabah!!! Sabah situation is similar to Northern Ireland. Kadazan leaders are damn docile. If we have Gerry Adam and Martin Mcguiness among Kadazan leaders, Malaysia will surely mampus. Martin Mcguiness had shown that people can took up arms against the mighty britain and WON! Martin Mcguiness, The freedom fighter who became First Deputy Minister of Northern Ireland or the terrorist! Although personalities had a hand in deterrmining and making Malaysia what it is to-day, ultimately I still believe that everything is predestined (di-takdir).